Jumper by DAY.LIKE with boat neck. Perfect with jeans and sporty trousers! 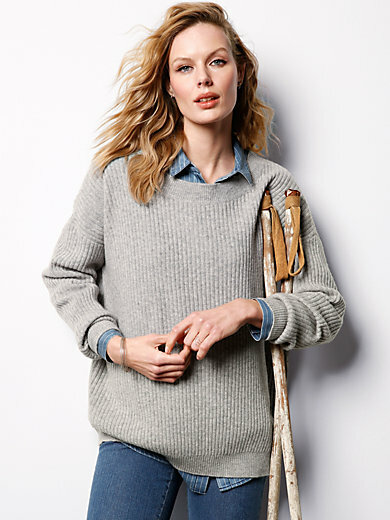 Superbly soft, chunky rib knit and a casual boxy shape in oversized style make this jumper a must-have! Made of high-quality fibres in pure natural quality: 100% new milled wool. Length approx. 26ins. The jumper is machine washable.